Last week The London Short Film Festival 2019 announced its programme, and Film London are thrilled to see so many alumni featured, screening works from London Calling's 2017 and 2018 slates. Now in its 16th year, the London Short Film Festival is recognised for showcasing cutting edge UK and international short film, spotlighting emerging talent as well as established classics. Thematically curated, the alumni will screen within the strands of 'NEW SHORTS, 'DOCUMENTARY' and 'COMPETITION' with content focusing on a variety of topics such as politics, mental health, gender and relationships. Prano Bailey-Bond, who Film London supported back in 2010 has also curated the 'NASTY STUFF' programme which consists of her own work, as well a hand-picked horror favourite. Both screenings will be followed by a panel discussion with Bailey-Bond herself. Over the course of 2018, Film London alumni have screened at festivals including Aesthetica, London Film Festival and Toronto International Film Festival, receiving accolades from institutions such as Screen Stars of Tomorrow 2018 and Underwire 2018. Visit London Short Film Festival 2019 for the full list of dates, screenings and tickets, including work from Film London alumni: Raine Allen Miller, Amrou Al-Kadhi, Prano Bailey-Bond, Jessica Bishopp, Emille Ebrahim Kelly, Josh Feder, Dwayne Gumbs, Matt Houghton, Louise Marie Cooke, Marley Morrison and Ian Simpson. 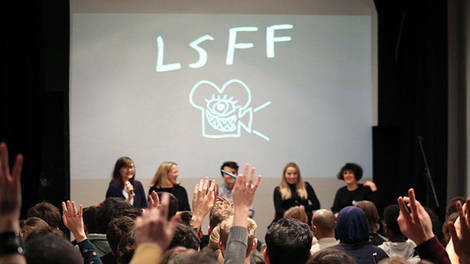 As well as showcasing films, the London Short Film Festival will host a range of workshops and panels for short filmmakers such as Short Form: More than a calling card?, a panel discussion exploring the function and capital of the short film with Film London’s Jordan McGarry, and a masterclass with BAFTA-nominated LFS alumni Olivier Kaempfer. Follow what previous London Calling alumni are up to with #LDNCalling on Twitter- now in partnership with BFI Network.